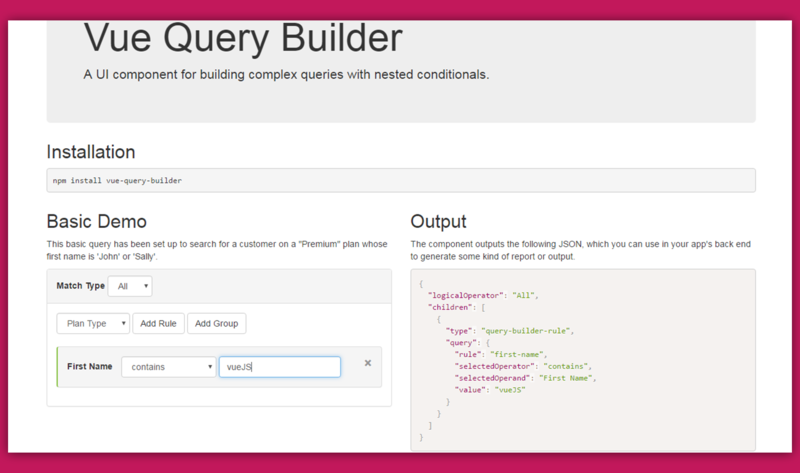 Vue Query Builder is a user interface component that makes it easy for users to create queries of any kind. It's useful if you need an interface for generating reports, filtering data, and more. Check the Demo here and take a look at the source code on GitHub.